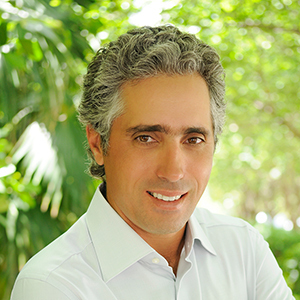 With a network of worldwide contacts, including successful entrepreneurs, business professionals, and athletes- many from relationships he formed during his decades long associations with top WTA tennis professionals and the Russian National Team as a coach, Karen has proven to be a successful deal-maker and real estate professional in the Miami market, with several significant sales to date. Originally from Moscow, Karen Krotov came to the US in 1998, after finishing his professional tennis career. A resident of Miami for almost 20 years, Karen has an intimate knowledge of all areas of Miami and the surrounding beaches. He is fluent in Russian and English and has a network of consultants, accountants and attorneys, which provides an established local platform to assist foreign buyers through the entire real estate process - from searching for the perfect property, to closing, and getting settled in their new home. Karen Krotov completed degrees in Sports Business Management, Physical Education and is a licensed realtor in the State of Florida. His contributions have been notable in The Liz Hogan Group’s success of selling over $100M+ in both 2017 and 2018, ranking them the #1 Real Estate Group in Florida, at Compass, for the last 2 years. The Liz Hogan Group is ranked #15 in the State of Florida and #130 in the Nation by Wall Street Journal/Real Trends.